Your fundraising efforts will help TMF carry out its mission of commissioning chamber music by the new, exciting and most gifted voices of today and tomorrow. You can help TMF raise funds through a range of activities: host a dinner, ride a bike, run a marathon, climb a mountain, or join our annual Gala committee. For more ideas, or to share your own, please email us at info@terezinmusic.org or call us at 857-222-8262. TMF can provide you with necessary information, CDs and brochures. Please coordinate with TMF before planning a fundraising event. Top: A fundraising dinner hosted by TMF supporters in their home in honor of TMF Educator and Board Member Edgar Krasa. 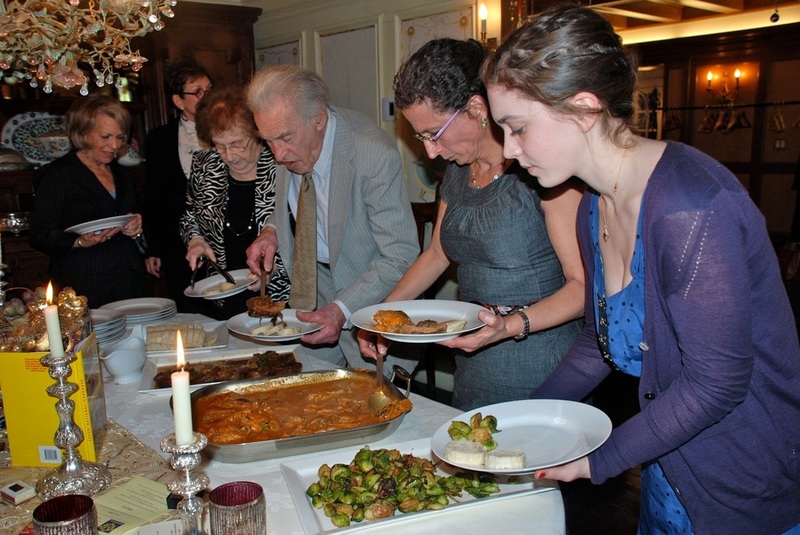 The food was prepared by The Fireplace Restaurant in Brookline, Massachusetts, following the Czech recipes of Mr. Krasa, who had been the cook in Terezin. Mr. Krasa gave a talk sharing his memories of Terezin. 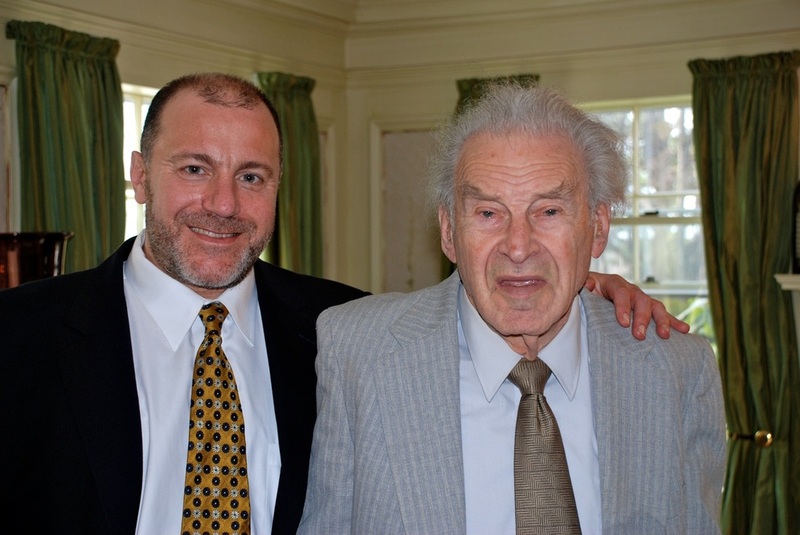 Bottom: Jim Solomon, owner of The Fireplace Restaurant, with Edgar Krasa.